Last Saturday, we went to watch Shan compete in a ‘comp’. 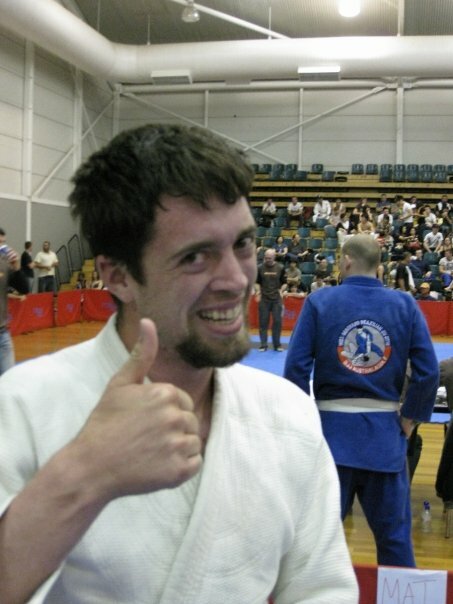 That was as much information as he gave us so we were surprised to see that it was the Asia Pacific Brazillian Jiu Jitsu (BJJ) championships at the Melbourne Sports and Aquatic centre. He and another guy were nominated from their school. The other guy was in heavy weight and Shan was in the medium (or something!) division. I took a book to read and Hannah, Trevor and Ben had various things to entertain themselves with in case it was a long and boring day. Trevor took his Chemistry book to study for his exam. He might fail the exam now because we were so enthralled that we didn’t get to read our books! 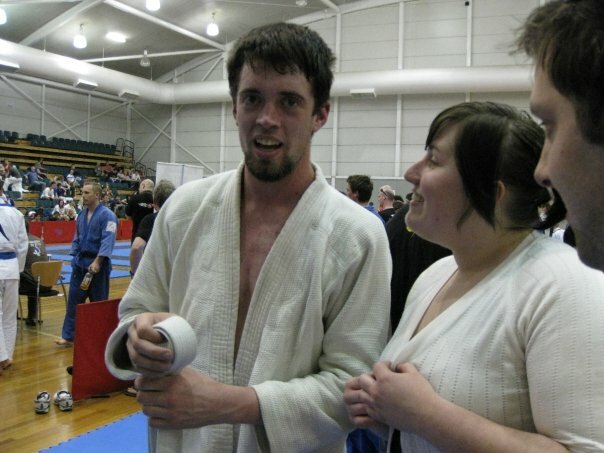 Typical of Shannon, we didn’t know he was talented at BJJ!!! He has only been doing it for 18 months. We knew so little about the sport that we thought he was losing as he was underneath his opponent for the entire first round. He won all 5 of his rounds (from underneath his opponent!!!) and then ended up in the final. According to Hannah, he has a special ‘move’ (the ‘triangle maneuver’ ….. or something) which he does with his legs and that is what gave him the winning edge. In the last round Hannah and I were up the front at the mats screaming and cheering away with the others. Originally, I had threatened to go and hit anyone with my handbag who hurt him lol. He ended up second place in his weight division and was awarded a huge trophy and other goodies. We have a newly found awe of him …… and a little bit of fear as well. Colin has realised that he can’t bluff him anymore.